Don't go anywhere, Apple Watch -- we're not finished yet. Here’s another tip that’s snuck into watchOS 2: Did you know that you can keep your Apple Watch awake longer now while you’re using it? Apple hasn’t mentioned this feature much, if at all; we couldn’t even find it on the details screen when we upgraded. But it’s a great addition to the firmware that will save you a little frustration and a lot of wrist-flipping. The first thing you need to do is find your Settings app among all of those tiny bubbles. Maybe you were smart and put it someplace that you knew you’d always be able to find it, but I sure didn’t. Oh, there it is. The hardest part of this is finding Settings. 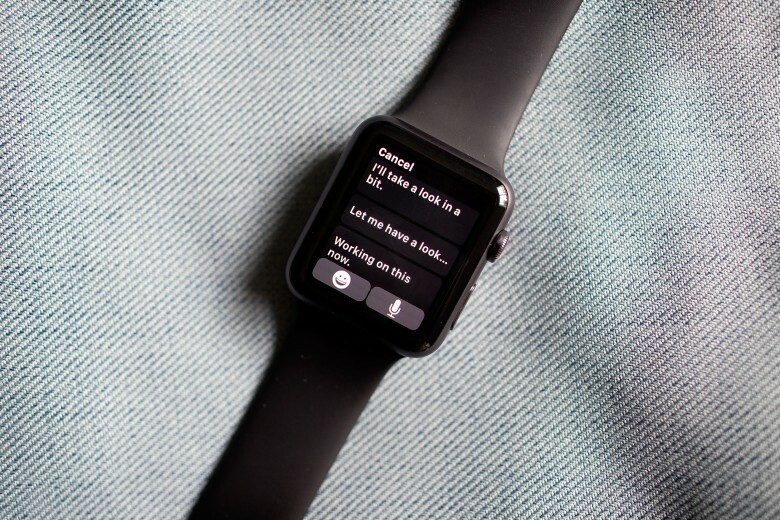 Once you’re done looking, open it up and go to “Wake Screen.” This is where you tell your watch whether to activate when you raise your wrist and what it should display as a default. But if you go all the way to the bottom of that area, you’ll see a new set of options under the heading “On Tap.” Here, you can tell your Apple Watch how long to keep the display on when you wake it up with a tap, and you can choose either 15 and 70 seconds. This is a pretty great feature, even though it seems like it will just eat into your Apple Watch’s already short battery life. I get pretty annoyed at how often I have to keep flipping my wrist back and forth to wake it up, which makes me look like a crazy person. It also makes it easier to show people things on your screen without them having to peer over your shoulder like a creep. You can use this feature along with the wrist-raise option so that you don’t always have to tap your screen to wake up the watch, so it offers some nice versatility to how you can use your wearable.